The company Marbesol (malaga car hire) offers a special discount (-15% in all its models from the Malaga Airport) for the participants. You have to indicate the reference RFIDSEC07 in the comment box when you fill the registration form. --"Mundojovi" offers to the participants 3* hotels from 80€ (double room) and 55€ (single room). Send an email to the travel agency Mundojovi and ask them for the current offers. You must say that you are a participant in the "Conference on RFID SECurity"
Tryp Alameda (4*): 64.20€ for single or double room. Don Curro (3*): 64.20€ for single room. Naranjos (3*): 64.20 for single room and 85 for double room. Send an email to the travel agency Halconviajes and ask them for these offers. You must say that you are a participant in the "Conference on RFID SECurity"
Moreover, participants can visit the web-site www.malagaturismo.com where they can find a lot of interesting information (e.g. Practical Information Option --> Accommodation). 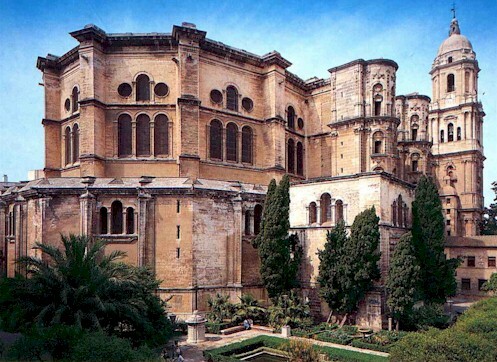 Malaga, the capital of the "Costa del Sol", is along the southern coast of Spain, in the historic region of Andalusia. The area is known for its appealing topography, enviable Mediterranean climate, with an average yearly temperture of 18.2º and over 3,000 sun hours per year, and a large variety of sports and leisure activities as a result of its outstanding tourist infrastructures. With respect to communication, Malaga is connected to all corners of Andalusia and Spain by an excelent network of highways. Its airport, called "Pablo Ruiz Picasso" in honour of the city's mot universal citizen, handled in 2005 12,669,019 passengers is located 8 km from the city centre with excellent connections to whole of he Costa del Sol. The average temperature in July is 24 degrees although it could be hotter in the middle of the days. Anyway the Conference and the Social Events will be held inside air-conditioned buildings.